There was one man I learned a lot from out in western Kentucky, who really played more like what people think of as an eastern Kentucky style. It’s hard for me to generalize a style… Eastern Kentucky is known for having that dark, modal sounding stuff, a lot of solo playing, a lot of cross-tuning, things like that. And western Kentucky, at least when I was around there, didn’t have too much of that… It was close enough to Nashville and the Grand Ole Opry and all that, I think it was influenced a lot by radio. One thing I would say is that there wasn’t the kind of isolation in western Kentucky that there was in eastern Kentucky, so I think they had more influences passing through. Whereas in eastern Kentucky, there were a lot of people that really just were there and were never really affected by much outside their own region. When I was learning to play, when I was living around there, as a tradition, it was really on the decline. The people that got together and played really did more kind of newer music –– bluegrass, and stuff they got on the radio. There were very few people that got together and just played the old tunes. As far as a living tradition, I think it had pretty much evolved into bluegrass and more modern music. So with a lot of the fiddlers I’d get together with, they always said they hardly played at all except when I’d come around, and then we’d play the old tunes. Kentucky’s funny, because it had an incredibly strong music tradition, and it kind of has this mystique, and yet it never really got discovered much. A lot of bluegrass and country musicians came out of Kentucky, but as far as their old traditional music, so little of it really got any attention paid to it until it was almost gone. If you compare it to places like Missouri, and Texas maybe, places where there’s a real active fiddling community, Kentucky, when I was living there –– that was mostly the ’70s –– there was nothing like that, really. There were just little isolated pockets of people that got together. There were lots of fiddlers, but they were all scattered around, and most of them wanted to play newer music. So you really had to beat the bushes to find the old people who knew the old-fashioned stuff, which was what I was after. One thing I’ve thought a lot about, if you talk about Kentucky style, is I think, especially with eastern Kentucky, a lot of the style is not so much to do with that region as it is to do with being an older style. Recordings I’ve heard of real old fiddlers from other parts of the country seem to me very much like the eastern Kentucky style fiddlers, and that made me think that it’s more something to do with how far back in time the style goes, more than what regions they’re from. So what you think of as a classic eastern Kentucky style, to me is just really more of an older style that was probably a lot more widespread in the old days, and it just kind of hung on in eastern Kentucky longer. People like Marcus Martin and Bill Hensley, the old fiddlers down here in North Carolina, they could just as well have been from Kentucky, the way I knew Kentucky music. Some of the Mississippi fiddlers that people listen to, it’s the same way. It’s pretty vague stuff, because we have so few examples of the older players, from back in the 1800s. There are really just isolated little examples of playing from that time. So it’s awful risky to make too many generalizations…. Now we can learn from recordings, books, at camps, and at festivals. We can learn to play old time, Cajun, Irish, contest style. It is still traditional music, but it is no longer rooted in traditional culture. Fiddle music will never again be learned the way the old timers learned it –– by absorbing it in the course of everyday life. There is currently a great revival of interest in traditional Kentucky fiddling, and for good reason. Nowhere has a greater body of fine tunes, lore, and legend been retained and preserved for our inspiration. This interest was first fueled by Library of Congress recordings made in the 1930s by Alan Lomax of Luther Strong, William Stepp, and other eastern Kentucky fiddlers. Their extraordinarily skilled, archaic playing led others to speculate on the potential musical treasures in that area. Folklorists and collectors began to comb the hills for still living fiddlers, and field recordings by D. K. Wilgus, Lynwood Montell, John Cohen, Peter Hoover, and others proved that they were still there. 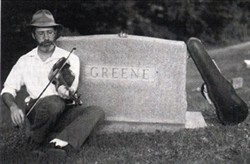 In the 1970s, independent collectors, led by Guthrie Meade, Bruce Greene, and John Harrod began systematically documenting the fiddle traditions of large parts of the state. In the first part of the 1900s, when ballad collecting was in great vogue, Kentucky was looked upon in its isolation as the last stronghold of our Elizabethan forebears from the old world, and therefore the most fertile ground for finding the ancient ballads still intact. Local color stories and magazine articles depicted Kentucky in the same way –– a land where the past nostalgically lived on, unaffected by the rest of the world. Even in the 1970s, people would tell me, “Oh, yes, I’ve always heard that all the best fiddlers came out of Kentucky.” Kentucky has been pervaded by a deeply romanticized sense of reverence for the past. Kentucky author Harriette Simpson Arnow once wrote, “My people loved the past more than their present lives, I think, but it cannot be said we lived in the past.” And nowhere is this statement more true than when applied to the Kentucky fiddler. I have had the privilege of knowing a number of fiddlers from around the state who were born before or shortly after the turn of the last century, and they surely had one foot in the past and one in the present. They remembered in great detail growing up in the days before automobiles, televisions, telephones –– electricity at all, for that matter –– yet they seemed quite at ease living in the modern world. Still, the past was never far away. They seemed to have endless tales and reminiscences concerning the music and where it came from and who were the great players of olden times. Their reverence for the antiquity of the music and the fiddlers from past generations was always fresh in their minds. I remember many conversations about some old timer who had been dead for thirty years or more that ended with, “You remember him, don’t you?” As if I had been back there with him, or it had just happened last week. And so, many times I strayed off the main roads as I roamed the state, to stumble onto a piece of the past that should no longer be there, yet somehow was. That was how in 1991, I met the eccentric ballad singer Pleaz Mobley, who had some brief notoriety in the 1960s performing at festivals with fiddler Clester Hounchel, before disappearing into obscurity. I had assumed him dead long ago. And that was how I met fiddler Sid Hudnall, who lived with his ancient mother in an isolated farmstead, called Happy Valley because there they had escaped the curse of civilization all their lives. And that was how in 1971 I met the sister of legendary fiddler Henry Bandy. Bandy was born in 1876 and died in 1952, but she insisted that if I wanted to know so much about him, I should just go ask him in person. 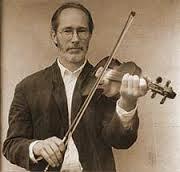 There is a great deal more to traditional Kentucky fiddling than just the tunes themselves. They are romantic expressions of a world and a kind of people we will never know again. So let them tell you their stories about what it was like to know old time fiddling in a time gone by, and why the old Kentucky fiddle music was inseparable from the players’ lives and the lives of those who came before them.